Nanostructured, water-based, Venetian stucco. It covers with only 2 coats, it has a very high yield, 8 m2/kg, and gets shinging with a cloth, without using any polish. It allows to obtain strong bright and longlasting colours. 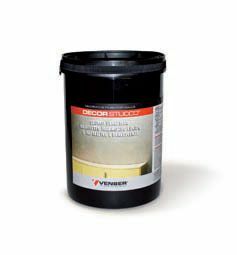 It is appliable on internal and external substartes with a cement plaster bases. Creamy, easy to be applied, odorless, high yield product. It permits to realize bright, strong autopolishing colours.